"No author could have asked for a more wonderful, diverse and loyal readership. I'm thrilled to say that I'm now in a position to give you something unique, an online reading experience unlike any other. It's called Pottermore. It's the same story with a few crucial additions. The most important one is you. Just as the experience of reading requires that the imaginations of the author and reader work together to create the story, so Pottermore will be built in part by you, the reader." 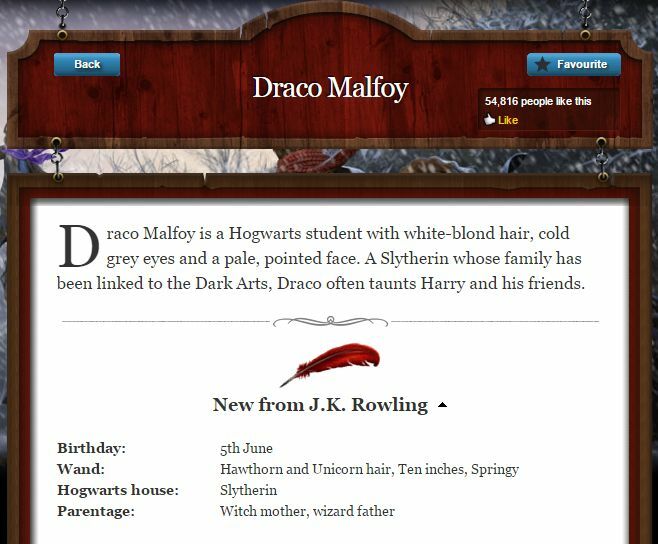 Pottermore is a website by J. K. Rowling intended to become the permanent online home for Harry Potter. The site opened for a limited beta release in September of 2011 and for the general public in April of 2012. The website as originally conceived was to be a free, online companion to the books. The site is also intended to be the source for electronic (ebook) versions of the Harry Potter books. In its original format, each chapter of the book was divided into individual scenes which were represented by multi-layered artwork with some limited interactive elements. Links on the page led the user to additional information about the characters, settings, and other details in that scene. A few details also linked to additional material written by Rowling to provide background information not previous revealed, such as biographical details and histories of characters. The artwork for each scene represented the story as it is described in the books, which often did not agree with the version presented in the film version of the story. Character’s faces were carefully hidden in each image. The artwork was created by AtomHawk Design Ltd.
On September 22, 2015, the site was completely redesigned to be a visual blog documenting all the new developments in Harry Potter franchise: the Fantastic Beasts film, the upcoming play, and so forth. Some canon information was retained, but the “wall” between book canon and the films was completely discarded. The design changed to accommodate the wide variety of screen sizes on everything from monitors to phones, and to be touch-friendly. Artwork no longer separated itself from the film version. Images from the films are freely mingled with story-specific images, reflecting the sites change in emphasis from exclusively exploring the books to advertising the various other products in the franchise. The tone of the site also changed to become more of a news site, with reports from the set of the film and from the rehearsals for the play. 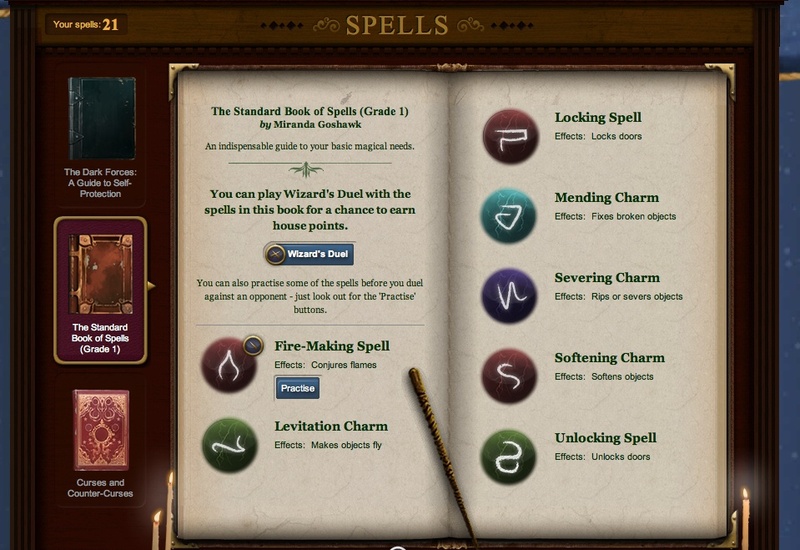 New material from Rowling was also included, notably the History of Magic in North America, but most of the site was devoted to fansite-style writing. The final segments of the last book were added in the spring of 2015.
addition of a "timeline" which was actually a republication of the Famous Wizard cards originally created in 2001 by Rowling for the video game series. Because the artwork for Pottermore is specifically approved by Rowling, it provides the most accurate representation of scenes from the books possible. Many of the scenes show characters and settings differently from the way they are portrayed in the films, but careful reading of the books will show that they Pottermore versions are much more accurate to what Rowling wrote. 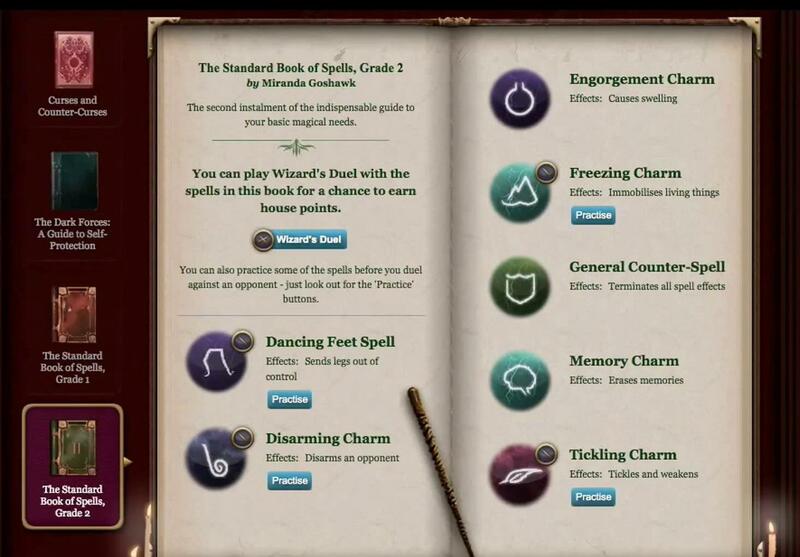 For that reason, the Lexicon considers the artwork on Pottermore to be tertiary canon (correct unless contradicted by higher levels of canon). 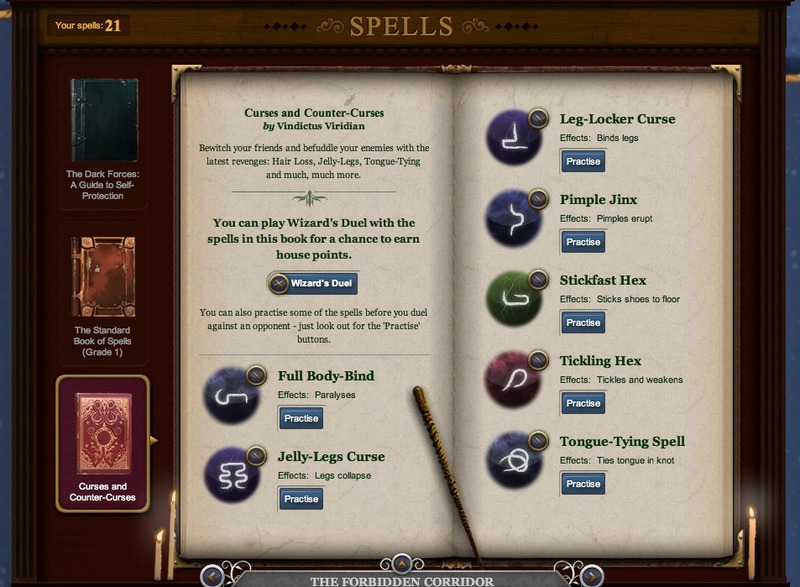 The Lexicon includes material from each version of the Pottermore website, even though some sections are not accessible in the new version. 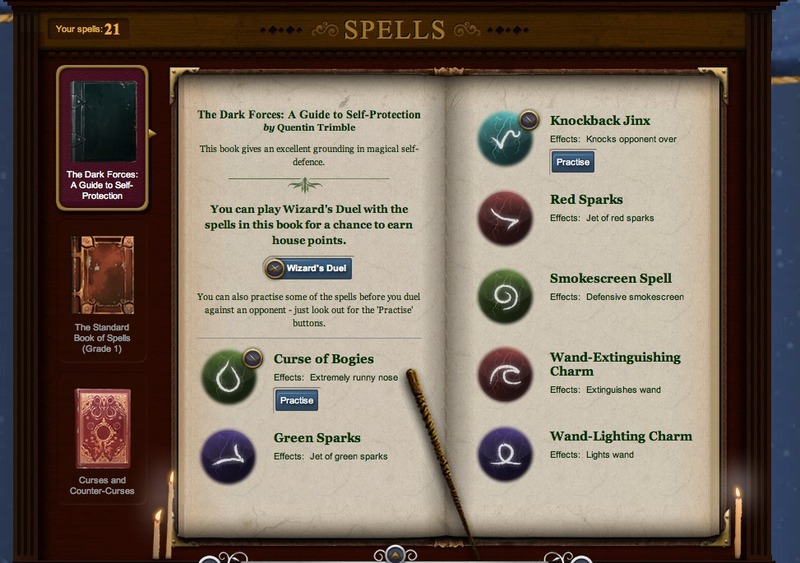 Of particular interest are the extensive Quidditch World Cup section published in the summer of 2014 and the spell details found in the various spell books users found to play the duelling game. * indicates that the item can no longer be found on Pottermore's website. The new design creates some canon issues for the Lexicon. Obviously the new writing by Rowling is canon. However, it's difficult to determine the canon level of some of the other facts given. 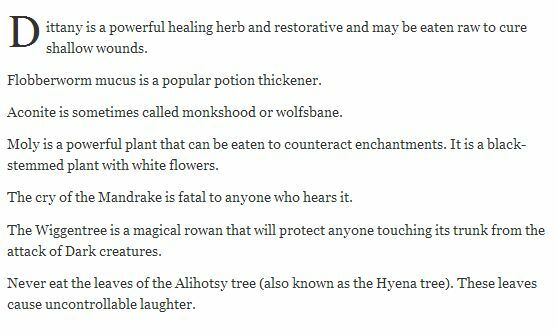 For example, if Sirius Black's death is listed as a date which doesn't agree with the facts in the book, is that date canon? If it was given in her original writing, the answer would be yes, and we note the inconsistency and move on. But what about the dates in the character profiles? Do those dates come from Rowling? We have no way of knowing.